Welcome Spring With The Cutest Critters! You are here: Home / Great Deals / Amazon Deals / Welcome Spring With The Cutest Critters! Have you seen these adorable critters? 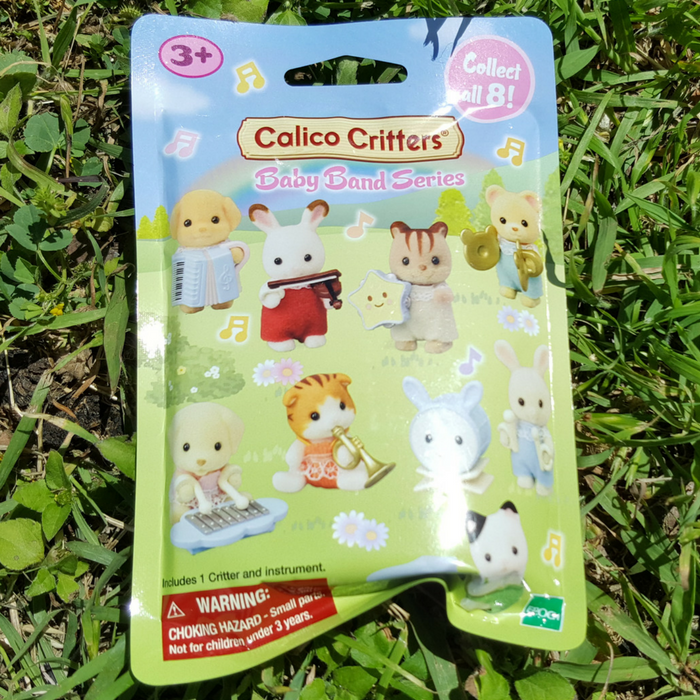 Calico Critters sent me their Calico Critters collection and my granddaughters are in love! Spring has sprung and all the critters are out to play! 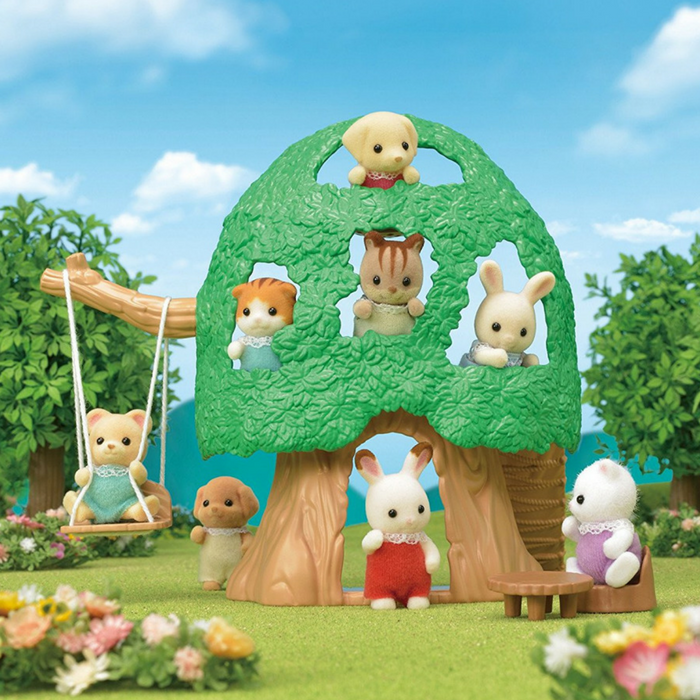 The globally popular and cherished Calico Critters collection, featuring beautiful and richly detailed animal figures living in “The Village,” wants you to join in on celebrating Spring. This year, Calico Critters is sharing their values of “Nature, Family, and Love” with the new Nursery collection, featuring Baby Critters and their own fun environments, packed with play for your little ones! Children can take the Baby Critters outside to play in this sweet little tree house. Your child can have the Baby Critters hop on the swing or rock in the hammock for outdoor fun. The tree house includes table, chairs & steps along with Hazelnut Chipmunk baby Luke who is ready to play! Blind bags add the element of surprise to Calico Critters play! Grab the Blind Bags – Baby Band Series today! Hidden in each bag is a new Baby Band critter that children can add to their nursery collection. They won’t know which critter is inside until they open the bag. Each bag includes a Baby critter and a uniquely designed musical instrument. The collection includes eight new collectible babies to complete the band: Shiloh Yellow Labrador on xylophone, Daisy Maple Cat playing the Trumpet, Jason Cuddle Bear with cymbals, Henry Sweetpea Rabbit on the drums, Milo Toy Poodle with accordion, Grace Hopscotch Rabbit playing the violin, Joseph Tuxedo Cat on the piano, and last but not least, Luke Hazelnut Chipmunk playing the tambourine. 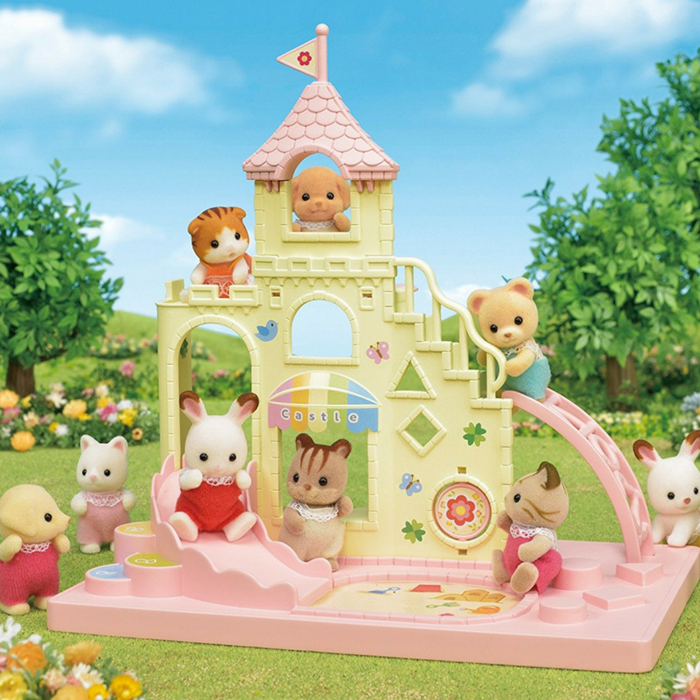 The fun continues in the Baby Castle Playground featuring Hopscotch Rabbit baby Grace. Children can send the Baby Critter friends up the ladder to the lookout tower or send them slipping down the slide or playing with friends in the sandbox. 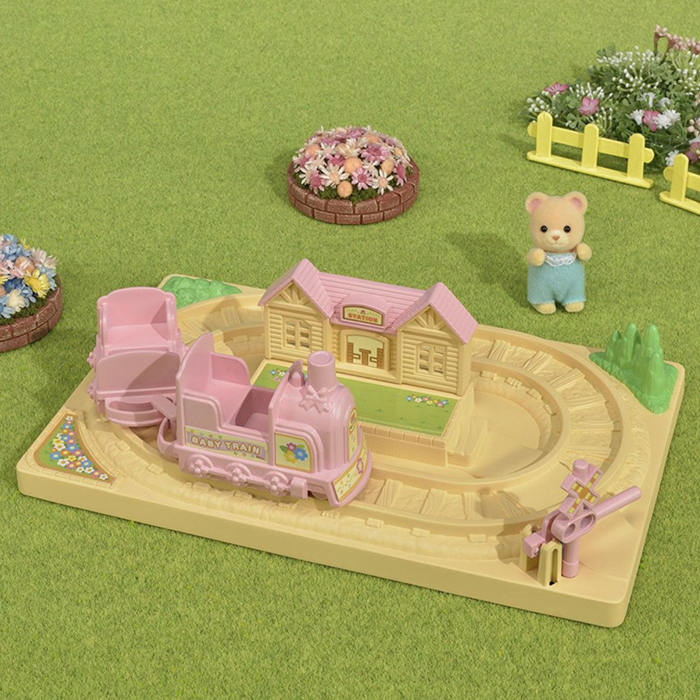 Children can take Cuddle Bear baby traveling along this sweet site-seeing railway and stop at the mini-station when the Baby Critters arrive at their destination with the Baby Choo-Choo Train. The set includes two cars for riding and a mini-station for arrival and departures. Comfortable, cozy and close to the Village! Get the Red Roof Cozy Cottage for your child! 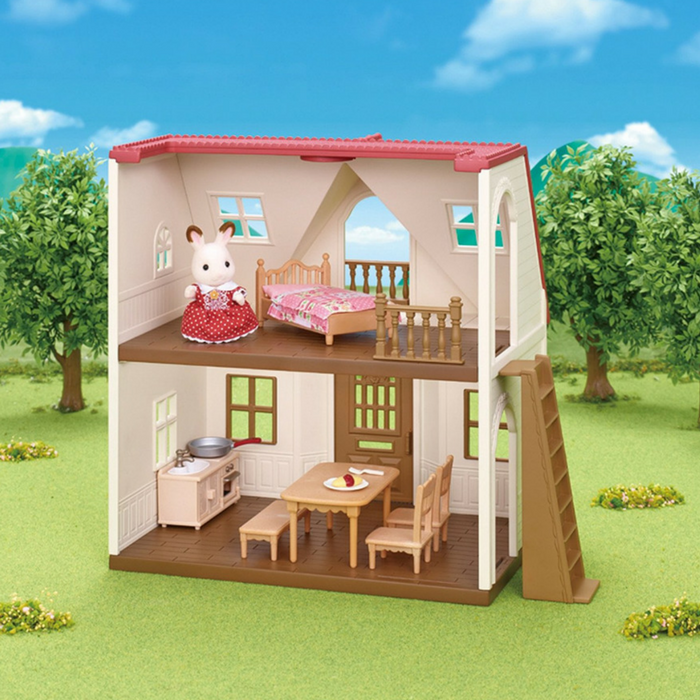 It is the perfect starter home for children to build their world of imagination. Bell Hopscotch is ready to play house in her quaint home, furnished with a bed, kitchen sink, stove/oven, food, tables, chairs, and more! Kids can connect the Cozy Cottage to the Country Home for even more creativity and fun. 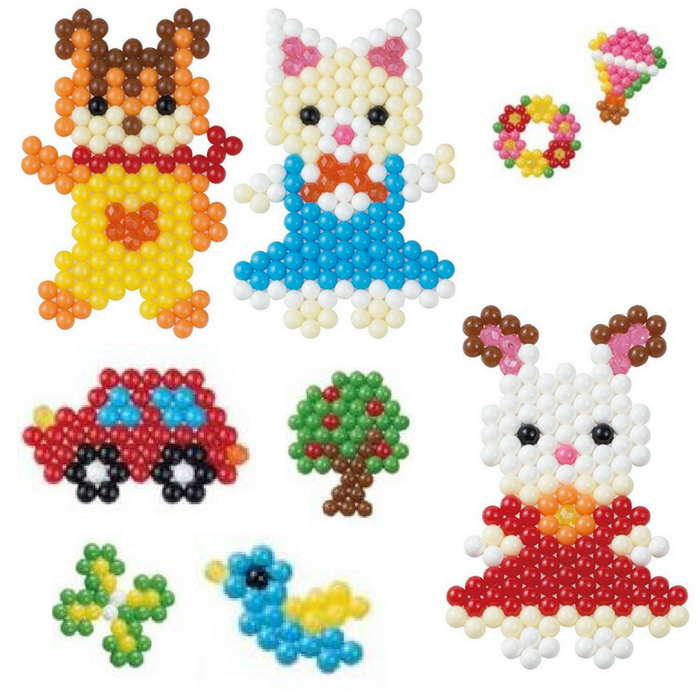 Kids can craft their favorite Calico Critter characters and bring their artwork to life as they place and fuse the beads to follow the template with the Aquabeads Calico Critters Character Set. Their creations can then be placed onto the bead stands for display. This set includes more than 600 jewels & solid beads, template sheet, layout tray, sprayer, and instructions to add to the creations. Bead pen sold separately.